Check for re-sits from previous year and order the relevant papers. 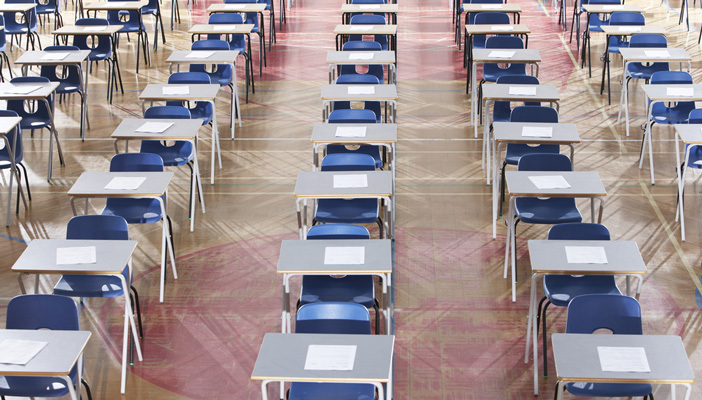 Make a list of all GCSE and A-level students, the exams they will sit, exam board and tier. Check for any special papers (maths, mechanics, further maths etc). Confirm preferred access arrangements with pupils. Order exam papers via the school exams officer, making sure they are ordered in the correct format. Some paper formats have to be ordered on Form 7 available from the JCQ website. Keep copies of the list of papers ordered. Make other requests for special arrangements, such as extra time, early opening (explain the reason why), readers and scribes – special arrangements last two years for each pupil. For extra time over 25 per cent, you must give reasons and wait for the official response. Request time allowance for rest breaks. Discuss room arrangement with pupils. Consider lighting and distractions. Pass this information to exams officers. Make arrangements for IT including iPads, laptops, calculators etc. Arrange for them to be in exam mode and save periodic tables, formulae booklets and data booklets. Prepare a list of expected papers to be shared with the exams office and have a marking in system. Follow up on any papers that haven’t arrived a few days in advance of the exam. Make a preparation and invigilation timetable with roles and responsibilities for delivering papers and equipment. Keep the room where the papers are being adapted secure and deliver papers on time. A3 unmodified enlarged. This is the standard exam paper enlarged onto A3 paper, providing a font size of approximately 14 point for most papers. Note: These papers are not provided by awarding bodies; centres should request permission to open the standard papers one hour early to enlarge them themselves (the request for early opening must be made in advance – see key dates above for further details). A4 modified enlarged (18 point bold). The layout and presentation of the standard paper is simplified to remove elements of visual complexity, without changing the level of difficulty of the content on all modified papers. Pictures and diagrams are often redrawn to make them more visually accessible. Modified enlarged papers are provided by the awarding bodies on request (your request for these papers must be made before Wednesday 31 January – see key dates above for further details). A3 modified enlarged (24 point bold). This is the same version of the paper as in 2 above, enlarged onto A3 paper (your request for these papers must be made before Wednesday 31 January – see key dates above for further details). A3 modified enlarged (36 point). This is listed in the new JCQ regulations, although it also says “centres should note that the option of an A3 modified enlarged paper, 36 point bold, may not be available in all subjects”. Grade 2 braille. Here the layout and presentation of the standard paper is simplified and the content is transcribed into braille, with tactile diagrams where appropriate. Braille papers are provided by the awarding bodies (your request for these papers must be made before Wednesday 31 January – see key dates above for further details). Past papers are not always available in every format for a particular examination, but where this is the case awarding bodies should be able to advise you how to find past papers set out in a similar style. It may not possible to obtain papers in the candidate's exact preferred format. In such cases, you may request to make further modifications within the school or college. Permission will be required to carry this out. You must give your reasons for requesting early opening and the request must be made in advance (see key dates above for further details). Any changes made to the presentation of a paper should not affect the content of the questions, unless these have been approved in advance by the awarding body. Early opening is not allowed simply to check that a paper has been modified and produced accurately. Please visit Access to exams and tests on the RNIB website. Visit our events page for professionals to find out about RNIB's exam update days in London and Leeds at the beginning of 2018.